No bake cookies make me think of home economics back in middle school. While I grew up helping decorate cookies, those no bake cookies we made in home ec were the first I ever made on my own. After tasting them and swearing I would never make that type of cookie again, I realize that as an adult, no bake cookies are actually quite useful on days where you don’t want to turn on the oven and/or spend a large amount of time baking cookies. 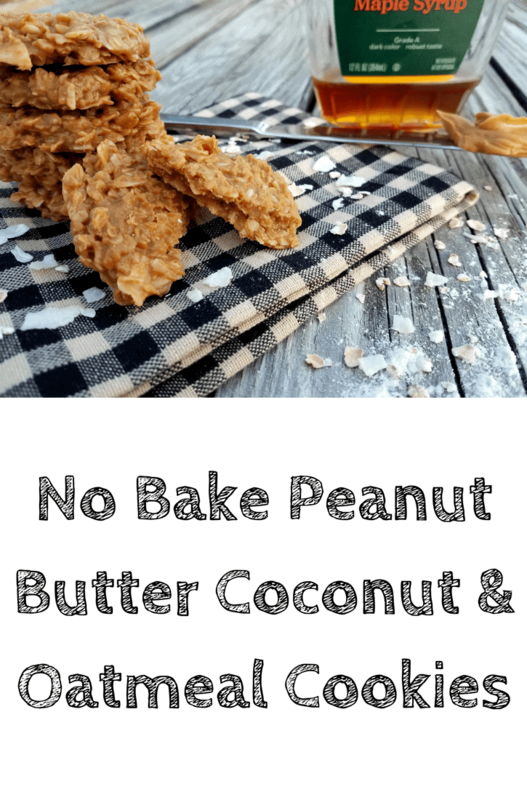 With only 5 ingredients, these No Bake Peanut Butter Coconut & Oatmeal Cookies are full of flavor, and are great as a snack after a workout! In a medium saucepan over medium-low heat, add peanut butter and maple syrup. Using a wooden spoon, mix until well incorporated. Stir occasionally, heating until mixture begins to bubble. Remove from heat. Add vanilla and mix well. Add the oats and coconut to the saucepan. Stir and fold until thoroughly combined. Using a 2-tablespoon cookie scoop, scoop and drop balls of cookie dough onto the prepared baking sheet. Using a fork, flatten cookies to desired thickness. Chill in the refrigerator for an hour, or until firm. Enjoy! If you are using large coconut flakes versus shreds, you might need to add in more dry ingredients. I do this by adding in a little more oats, then a little more coconut, etc., until the mixture reaches the desired consistency. I tried using a spatula to flatten the cookies the first time around, and this didn’t work because the cookies stuck to the spatula. This is why a fork is used in step 4. ? Credit: Recipe lightly adapted from beaming baker. This is another tasty and easy to prepare recipe! I’m going to make some cookies for my little sister. Thanks for sharing! This cookie recipe sounds so delicious. The recipe looks easy to follow. My kids would love making these with me. I will be giving this cookie recipe a try. These sound delicious. I love peanut utter and it sounds like these would be perfect for me to have before a power walk. 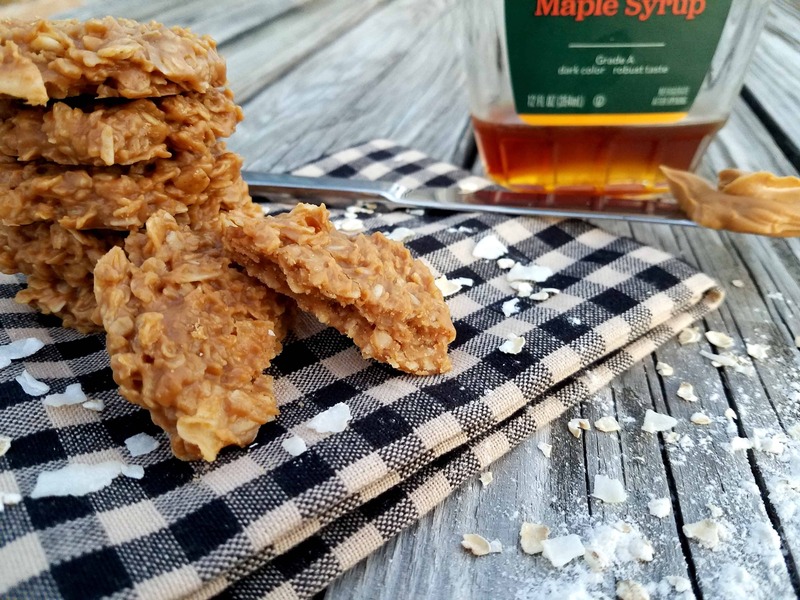 These seem very simple to make and I love using maple syrup as a sugar alternative. Ive never had no bakes with coconut. Time to give it a try. Mmmm, these look and sound delicious! I have to try these! This looks like a pretty cool, delicious, and somewhat healthy cookie. I would definitely love to try out making these with my daughter. She would have a lot of fun doing it.